Lisa is our money lady and we sure count on her! Lisa's commitment to VSPCA is depicted through her interest from the beginning and valued input at leadership meetings. Always willing to help where she can, whether with fundraisers, manning the cruise ship terminal VSPCA donation booth, or transporting sick mother dogs to the clinic, we are lucky to have her working with us! "Originally from Lake Placid, NY, I've lived in St. Vincent for nine years and during this time have witnessed first-hand the heart-breaking plight of homeless animals on the island. With the inception of the VSPCA, I can say with confidence that there is finally hope for these pitiful souls! 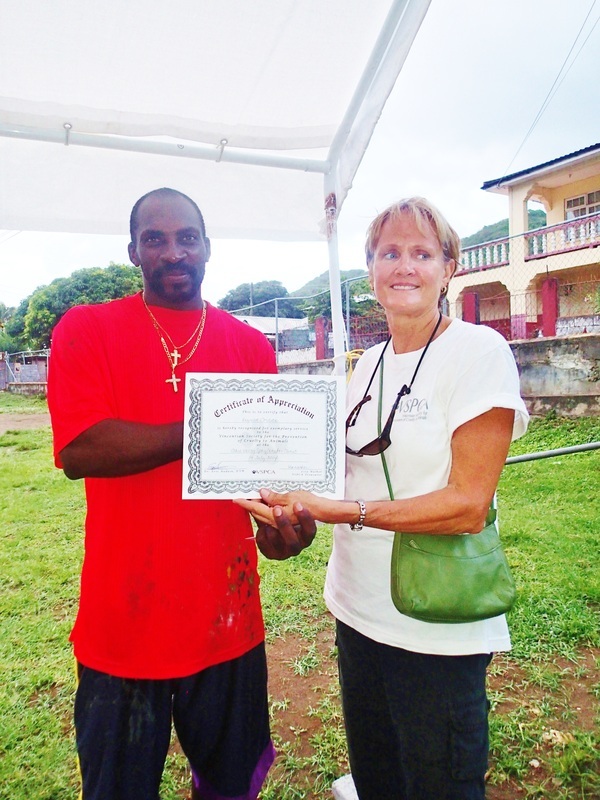 As the newly appointed VSPCA treasurer, I look forward to our endeavors of community education, animal rescue and island-wide spay and neutering clinics... and anticipate the day in the not too distant future when, with the continued support of Vincentians and visitors alike, St. Vincent will have a fully functioning animal clinic and rescue shelter."